Home » Fact or Fiction: Do Deep Conditioning Hair Masks Really Work? Humidity is the bane of many heads of hair. The effects of humidity can lead to annoyance, frizziness, and even long-term damage. Proper maintenance and preventative care are needed for those who live in humid climates. When regular conditioner isn’t adequate enough to repair hair damage, deep conditioning hair masks fill in the void. What is deep conditioning, you say? Well, unlike regular conditioners, deep conditioners penetrate into the hair cuticle. This allows the conditioner to deliver much-needed moisture, proteins, vitamins, and nutrients. If you’re new to the world of hair masks, we will show you what you need to know and what you need to get for deep conditioning. Let’s get this conditioner myth out the way: you cannot mend split ends. Although there are different types of split ends that can be managed, not even deep conditioners can achieve the impossible. Split ends can only be cured with a proper haircut. Alternatively, you can at least protect split ends with deep conditioning. These conditioners can increase the level of moisture, which helps protect from the heat. 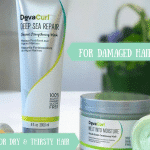 Drier hair that is also curly will benefit the most from deep conditioning hair masks. These hair types that are most susceptible to frizzing need intense moisturizing. Dry hair that is thinner or not curly will need deep conditioners with protein-building, keratin properties. Bleached hair has similar needs. This hair is fragile and porous and needs to be rebuilt to withstand heat and humidity damage. Oily hair is the complete opposite, of course. Hair that is naturally oily is a blessing and a curse. You must avoid deep conditioning treatments, yet you still need to avoid washing out too much natural oil. There are various products on the market that promise to repair all different types of hair. You should still be careful and know which ingredients to look out for. A deep conditioning hair mask is comprised of various oils, some with multiple types. One of the most popular oils for dry hair and scalp moisturization. Argan oil is rich in vitamin E, and omega-3 fatty acids. This oil can be slightly more pricey than others, so expect deep conditioners to charge more for it. This is the jack-of-all-trades oil. Coconut oil not only smells amazing, but it does amazing things for dry hair. Coconut oil has a high dose of vitamins, minerals, and amino acids to promote hair strength. This is a great base for any deep conditioner hair mask. When all the other nut-based oils aren’t able to produce the level of protection for your hair, macadamia oil is the next level up. This is the richest oil you can get and offers the best chance at healing heat-related damage. Expect to pay a premium for macadamia oil-based deep conditioners. This oil is ideal for those who suffer from both dry hair and scalp. Almonds have antioxidants, fatty acids, and proteins that all contribute to a healthy scalp. Almond oil also contains magnesium, which can lead to fewer split ends and breakage. Almond oil is also anti-inflammatory, which can help provide relief to psoriasis and dandruff. The tale of the baobab tree is one of deep history and reverence. The oil produced from the baobab is extremely dense in vitamins, minerals, and omega-3 fatty acids. The concentration of these nutrients is high enough to encourage hair growth. Baobab oil is sometimes marketed as a hair loss treatment, but don’t let that deter you from purchasing it as a deep conditioner. Along with the oil bases, there will be a few ingredients that you’ll see appear frequently. Wheat proteins might sound hokey, at first, but they’re actually super beneficial for thinner hair. These proteins literally lock on and strengthen hair follicles. Keravis may sound a bit more unfamiliar to you. It’s a special vegetable-based protein, not to be confused with keratin. This ingredient can repair hair that has been damaged by extreme heat, curlers, etc. You might also find bamboo or fern extract in deep conditioners. This is high in silica, an important trace mineral. It helps to strengthen your blood vessels, improving circulation to your scalp and encourage hair growth. With all the deep conditioning products on the market, it can be easy to assume that this is your only option for repair. That isn’t entirely true, even if it is difficult to acquire the same ingredients to use at home. There are plenty of alternative ways to hydrate and repair your hair. If you do decide to mix up your own homemade hair mask, make sure you follow proper procedure. Starting with your shampoo routine, conditioning, and finally drying. Each step counts and contributes to the repairing and moisturizing of damaged hair. Shampoo first, using a light, foaming formula. Whenever you use a deep conditioner, it’s always best to take a hot shower. The heat opens up the cuticles and allows for quicker penetration. While applying your hair mask, be thorough and heavy-handed. There’s no such thing as too much product. Leave it on for at least twenty minutes, if not more. Remember, at-home hair care should not completely replace professional hair services. It’s good to have a close relationship with a hairdresser who understands your hair. History makes it easier to spot changes in hair follicle health and growth. If you’re looking for a hair salon that understands deep conditioning hair masks and repairing damaged hair, contact us. We have experience with all different hair types and textures. We understand how frustrating it can be to have dry, frizzy, and splitting hair.